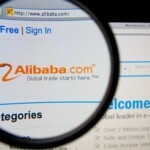 The Alibaba IPO: Is It Full of 40 Thieves… or 40 Billion Carats? The Alibaba IPO is expected to raise as much as $24.3 billion next week when Alibaba Group Holding Ltd. (NYSE: BABA) prices its shares on Thursday, Sept. 18. 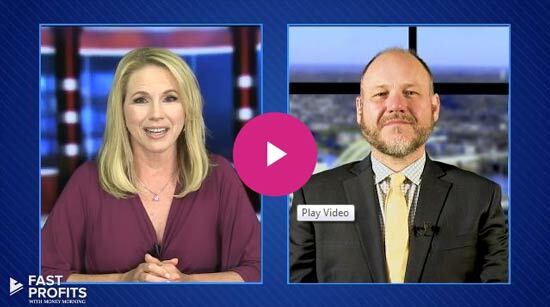 Throughout the Alibaba IPO process, Money Morning's Executive Editor Bill Patalon has been following the company and the Chinese market carefully. 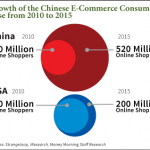 And now, he's uncovered a major shift in the Chinese e-commerce industry. One that should drive Alibaba and BABA stock for years to come. The Alibaba roadshow kicked off this week as Alibaba Group Holding Ltd. (NYSE: BABA) officials began the final sales pitch for Alibaba stock ahead of the company's massive IPO. The roadshow presentations are the primary way for Alibaba and the underwriters to sell Alibaba stock to institutional investors prior to the stock's debut. Some analysts are calling that price range "conservative." Stock market today, Sept. 8, 2014: U.S. stock markets rallied Friday to end the week on a high note, with the S&P 500 and the Dow Jones Industrial Average both logging their fifth consecutive weekly gains. Although a lackluster jobs report indicates that hiring slowed in August, with the economy adding a meager 142,000 jobs, investors saw a silver lining in the eight-month hiring low: The structural weakness in the jobs sector likely means the U.S. Federal Reserve will hold off on raising interest rates in the near term. 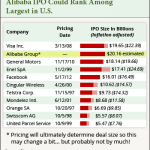 Because of its epic size, the Alibaba IPO can't escape the comparisons to Facebook Inc.'s (Nasdaq: FB) IPO. The $16 billion the Facebook IPO raised in 2012 made it the largest tech IPO of all time, a record the Alibaba IPO will almost certainly beat when it comes to market in the next two weeks and raises some $20 billion. The Alibaba IPO date is still at least two weeks away, but Alibaba's Chairman and co-founder Jack Ma is already feeling the impact of the massive IPO. According to the Bloomberg's Billionaire Index, Ma's net worth has been calculated at $21.9 billion, making him China's wealthiest citizen - by a wide margin. According to a new report from The Wall Street Journal, the Alibaba IPO date will be set for early next week (Sept. 8), giving us a clearer idea when Alibaba stock will hit the market. Multiple delays for an IPO are common, especially one the size of Alibaba's. A new report from The Wall Street Journal indicates that Alibaba stock could begin trading on the New York Stock Exchange as soon as Sept. 18 or 19. The size of the IPO, and Alibaba Group Holding Ltd. (NYSE: BABA) itself, should make Alibaba stock a hot commodity when it hits the market. And not just for investors, but for mutual funds as well. 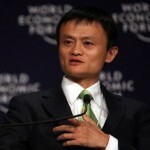 According to multiple media reports, the Alibaba IPO date is less than three weeks away. 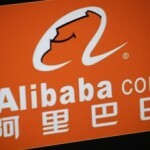 Both Bloomberg and Fox, citing unnamed sources, reported earlier this month that Alibaba Group Holding Ltd. (NYSE: BABA) will begin the "roadshow" portion of its IPO shortly after Labor Day. The Alibaba IPO date is just weeks away, but there are still many questions to be answered before Alibaba stock begins trading on the New York Stock Exchange. 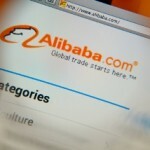 When is the exact Alibaba IPO date? How much money does Alibaba make? 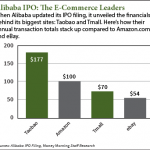 What's the Alibaba IPO price? These are just a few of the questions that investors have as Alibaba Group Holding Ltd. (NYSE: BABA) prepares for one of the largest IPOs in history. 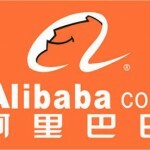 The Alibaba IPO is expected to take place in mid-September, and Alibaba Group Holding Ltd. (NYSE: BABA) has spent the last year preparing to take its stock public in the U.S.
A big part of that preparation has been making acquisitions. According to Bloomberg, Alibaba has spent roughly $5 billion acquiring numerous companies in the last year. Investors received an update on the highly anticipated Alibaba IPO this morning when Alibaba Group Holding Ltd. (NYSE: BABA) announced its financial results from Q2. In its fifth F-1 amendment to the U.S. Securities and Exchange Commission (SEC) since filing for an IPO, Alibaba noted today that its revenue was $2.54 billion in Q2, a 46% increase from the previous year. The Alibaba IPO is expected to raise roughly $20 billion sometime in September, which would make it the largest U.S. IPO ever, ahead of the $19.65 billion Visa Inc. (NYSE: V) raised in 2008 and the $16 billion Facebook Inc. (Nasdaq: FB) raised in 2012. 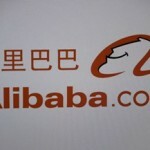 But the size of the Alibaba IPO won't only impact Alibaba Group Holding Ltd. (NYSE: BABA) shareholders and investors. The Alibaba IPO will be one of the largest U.S. IPOs ever, as most analysts expect the Chinese e-commerce company to raise up to $20 billion through the deal. The hype surrounding the initial public offering has reached a fever pitch as investors look for any updates about the Alibaba IPO date, IPO price, and the company's financials. But one thing that investors have already learned through the IPO process is that Alibaba has an unorthodox corporate structure. The Alibaba IPO is coming. Questions about when it's coming, or how big it will be, or how complicated the deal is don't matter. They can be answered, and I will answer them here.